We understand you may not have found the exact Nissan you were looking for within our inventory or do not have the time to visit the dealership, so you can use this convenient and simple form below. If you are looking for quotes on multiple models, include them all and we can do comparisons for you. We can order any kind of new Nissan you are looking for, with any trim package in any color. We offer this as a free service so you can spend less time at the dealership and it allows us to find the right car for your budget. You can also include any down payment or trade in information when submitting the form we can apply that into the sales quote of the new Nissan. 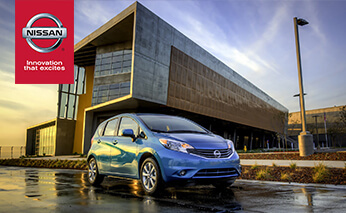 We look forward to helping you find the new Nissan car, truck or SUV that are you looking for. If you would prefer to speak to a friendly representative who can better assist you on the phone, give us a call today at (570) 991-6817.